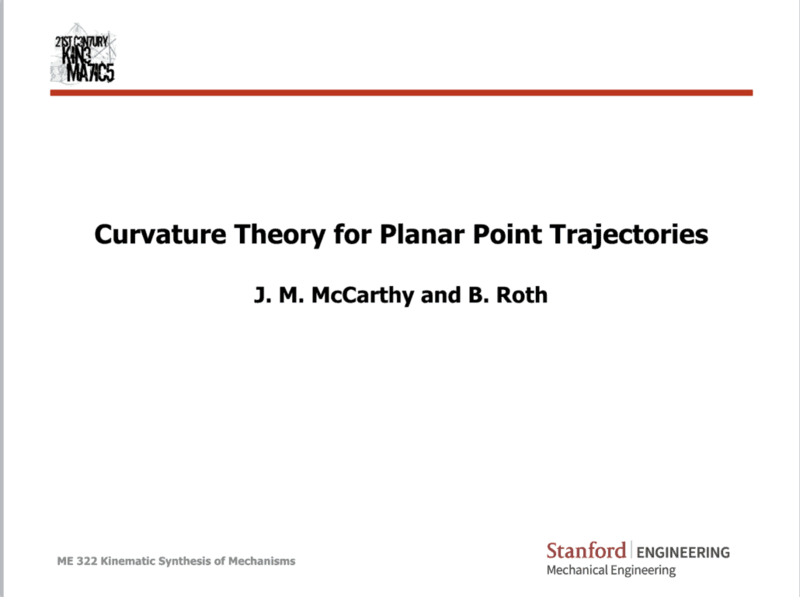 These notes for the Stanford University graduate course ME 322 Kinematic Synthesis of Mechanisms present the curvature properties of point trajectories in a planar moving body such as the coupler link of a four-bar linkage. Update: December 13, 2017. These notes have been revised to use the notation for the components of the pole acceleration and rate of change of acceleration to match Bottema and Roth’s Theoretical Kinematics.